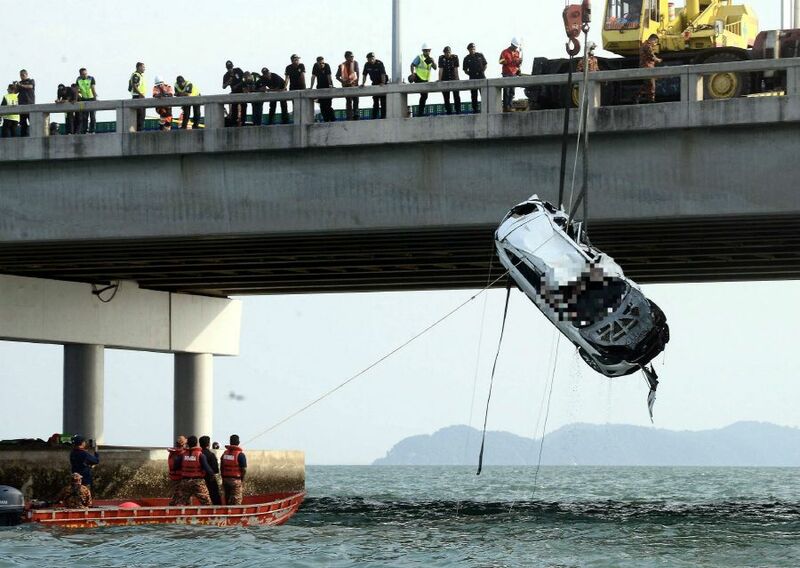 [UPDATE] Penang Bridge Victim Found & Friend Surrenders to the Police. Though it's not something we'd like to bring up, but we've got to update you guys who are closely following the news of the Penang bridge accident that happened 3 days ago. The driver of the white Mazda CX-5, Moey Yun Peng has been found yesterday at 6.00PM, deceased. First of, we'd just like to send our deepest condolences to the family and friends of Moey Yun Peng in this time of grieving over an accident that shouldn't have even happened if someone had been a well-disciplined millennial when partying. Police found the identification card of the victim inside his pants. “We are certain that this is the victim who was reported missing, Moey Yun Peng. 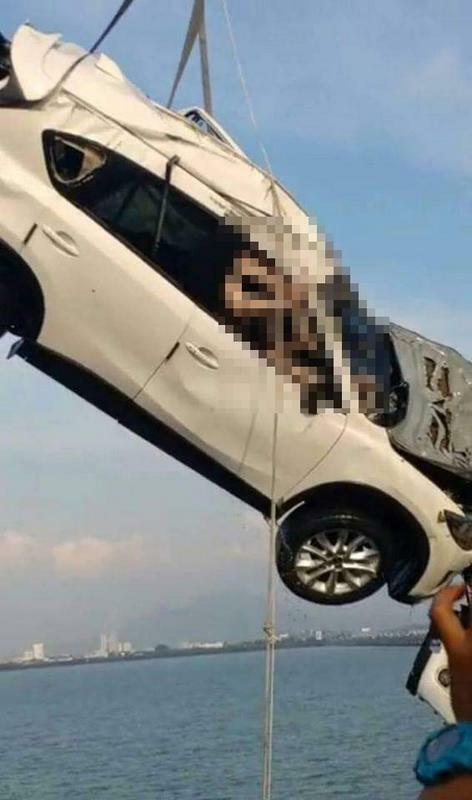 The vehicle looked badly damaged because it hit the curb before falling into the sea but the body was still intact because he was wearing a seat belt,” reported an officer at the scene. The culprit of this tragedy who was receiving treatment at Seberang Jaya Hospital, had also turned himself in to the police yesterday at 2.00AM and is being investigated under Section 41(1) of the Road Transport Act 1987, according to Seberang Prai Tengah district police chief Assistant Commissioner Nik Ros Azhan Nik Abd Hamid. Mitch's Note: This incident started with a day meant for celebration but had done a total 180-degree turn for the worse over a millennial who just couldn't control his partying habits, and as a result...he killed his friend. Sure we can all say that taking drugs is bad for you, but regretting it now isn't going to do any good cause this is a damage that can't be undone or be paid for. A family has just lost a son...a brother...a nephew...a cousin...a best friend... and all over a millennial's stupidity. What have we learnt here? C'mon peeps... have fun with your friends at a party, have a few drinks, mingle and maybe even find yourself someone you can mess around with later... but don't throw your life away with taking drugs -- and even if you already had your hit, call a damn Uber ride or something. Innocent people on the road don't deserve to get knocked off any damn bridge and drown when all they wanna do is get home safe dammit! This kid (he doesn't deserve the right to be called a man) deserves to be severely punished and we all hope that this tragedy will stop him and anyone else from even thinking of poppin' pills & driving while intoxicated. As for the rest of us, here's a lifehack that you can keep in your back pocket in case of any unforeseen circumstances that has to do with you in a car. 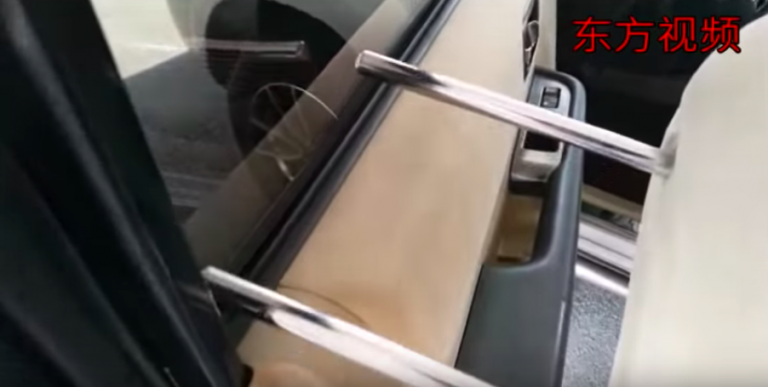 LIFEHACK TO BREAK YOUR CAR WINDOW IN AN EMERGENCY! Your best weapon to help break your car window, if you're ever caught in an accident like this, is your HEADREST! 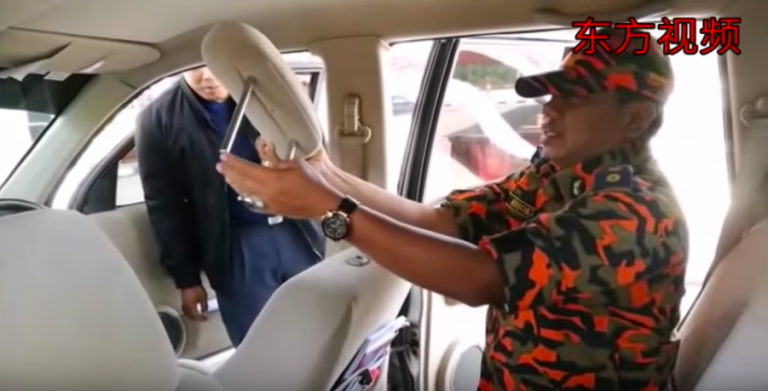 In a demonstration performed by Fire Dept Director of the Penang Fire and Rescue Department, Saadon Mokhtar, as most cars take time to fully submerge under water, you still have a fighting chance! STEP 1: Pull out your headrest from your seat. STEP 2: Press the bottom edges against the window and hit hard enough to crack the glass. Once your car is partially submerged in the water, it’d be difficult to open the door due to the pressure from the exterior that’s exerted by water. 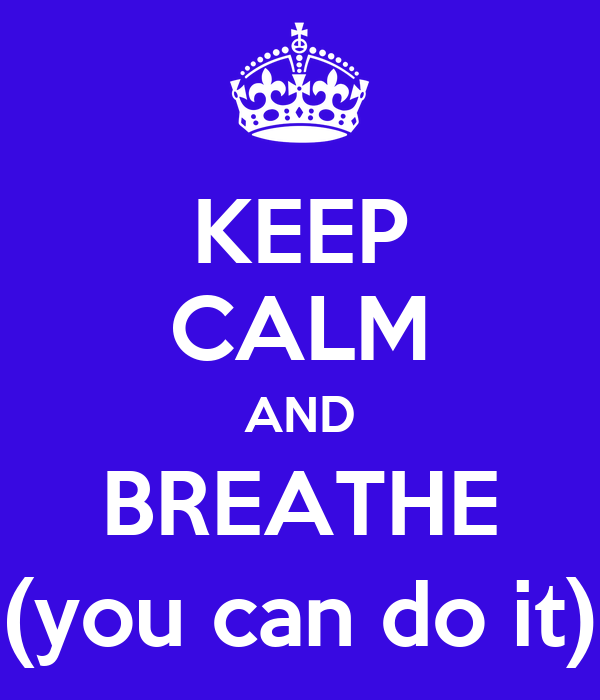 Hence, it’s crucial for you to keep calm and conserve energy to plan for the next move. Sadly, there’s very little that can be done if the drivers have become unconscious as a result of the accident.